An original study about how search marketing has evolved in the last 5 years - brought to you by some fine folks at Mnsearch. Methodology: The Minnesota Search Engine Marketing Association (MnSearch) commissioned a study of 441 self-described via the Google Surveys platform. Surveys were conducted by Brandish Insights, and the reports were designed by Hook Agency. MnSearch’s first-ever marketing industry-wide study explored the importance of search in marketing and produced major insights into how executives and marketers should be looking at search engine marketing (SEM or pay-per-click/PPC) and search engine optimization (SEO) as a part of today’s marketing mix. We asked more than four hundred marketers from companies of all sizes to weigh in with their own search engine marketing thoughts and experiences. Read on to learn whether your company is ahead of the times or struggling to keep up with today’s trends. Key Insight: Companies that invest in SEO/SEM–both in terms of education and as a percentage of marketing spend–tend to report more revenue growth. 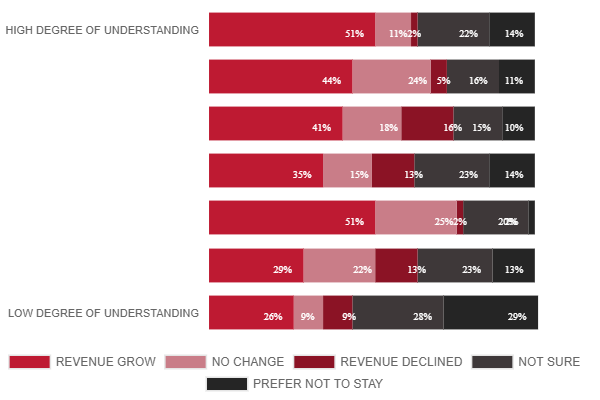 First, let’s look at the number that matters most to marketers: revenue. 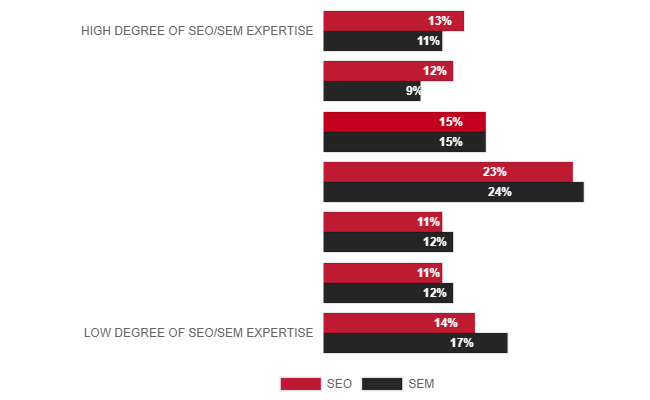 In our study, the companies that reported growing revenue the most were also more likely to have SEO and SEM expertise. High growth companies–we defined high-growth as companies that grew annually in revenue by more than 10-percent–were twice as likely to report having a high degree of SEO/SEM expertise as they were to report having a low degree of SEO/SEM expertise (32% vs. 16%). We asked companies with more than ten-percent annual revenue growth to share their levels of SEO/SEM expertise. The distribution of responses suggests some connection between search expertise and more revenue growth. Next, we looked at how much revenue companies were attributing to search marketing efforts to get a sense for how much opportunity there might be to grow these channels as a part of our collective marketing mix. Few companies rely on search for more than half their revenue while the vast majority still have a lot of potential benefits to reap. Key Insight: Only 15 percent of marketers are leveraging search marketing channels to produce more than a quarter of their revenue. Search knowledge is often coveted among the people and teams that have SEO and SEM-specific roles. But the leaders of these companies should take notice, too. Paid media expertise at the leadership level appeared to be fairly linear with about half of all companies who had any degree of SEM understanding at the leadership level reporting growth. Meanwhile, just over a third of companies without SEM understanding at the leadership level reported growth. Overall, those that reported low levels of SEM knowledge at the leadership level were much more likely to be unsure of their revenue performance, more likely not to want to share their revenue performance, and more likely to have declined in revenue performance year-over-year. Leaders who understand the principles of paid search are more likely to report revenue growth. On the organic side, we see the same general pattern, only a little more dramatic and with one major exception. Companies whose leaders had a high degree of understanding of SEO principles were about twice as likely to report revenue growth in the last year than those whose leaders had a low degree of understanding. Interestingly though, while the relationship between leadership SEO knowledge and revenue growth was also fairly linear, 51% of companies whose leaders reportedly had less-than-average SEO knowledge still reported growth. This outlier seems encouraging as it suggests that even a little bit of SEO knowledge at the leadership level can be effective for increasing revenue. SEO-savvy leaders were twice as likely to report growing revenue, but some are able to succeed with minimal effort. 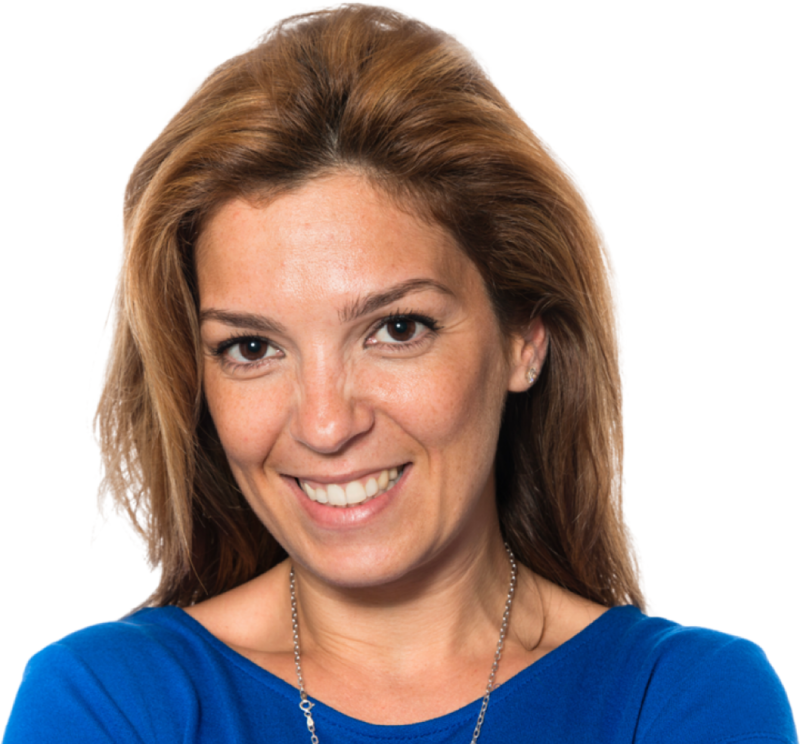 The implication of these findings is that company leaders must be prepared to be directly involved on some level in the building of searching marketing–both paid and organic–as a competence within the organization. The more they become exposed to and understand the principles that drive these channels, the more likely they are to reap the revenue growth potential that comes with SEO/SEM expertise. So where are leaders at currently with their understanding of these all-important marketing channels? While this is may be enough to command a majority, it’s clear that as a whole, our leaders are just above average when it comes to what they understand about search marketing channels. 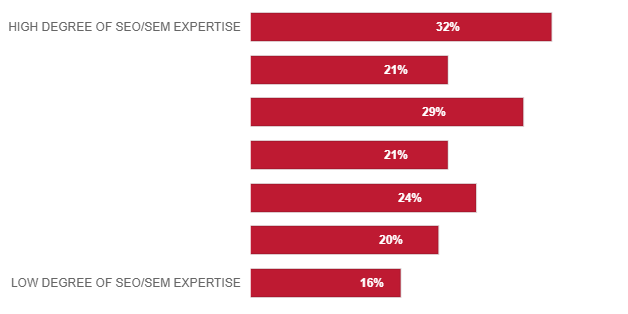 Key Insight: If leadership knowledge of search marketing is connected to revenue growth and if our leaders currently possess only an average level of understanding of these channels, companies could grow revenue more quickly by investing in leadership knowledge and participation of SEO/SEM. When we asked marketers where they planned to spend their money in the next year, we were somewhat surprised by the findings. There didn’t seem to be much consensus among marketers about whether more dollars should go into SEO and SEM. Overall, investments in search will increase slightly but attitudes around SEO/SEM budgets will vary widely. Overall, companies will be spending about the same about on search in the next year. Those who will be spending more will be spending a little more and those who will be spending less will be spending a lot less. Will this be a conscious choice or will it be out of necessity due to budget cuts for companies that won’t make enough revenue to have the choice to invest more? Key Insight: If expertise and knowledge are connected to revenue growth, then companies should plan on investing more of their budgets into developing competencies for SEO/SEM in the future. Obtain search marketing education at all levels of the organization to increase your company’s chances of growing revenue. Learn. Invest. Grow. Those are the three words to remember when it comes to growing revenue through search marketing. First thing’s first. If revenue growth starts with knowledge of search marketing, where should you, your team, and your leadership turn for education about search engine optimization, pay-per-click advertising, Facebook advertising, display network advertising, content marketing, conversion rate optimization, and the other disciplines connected with search marketing? Lastly, it should be mentioned that the MnSearch exists solely to advance the interests of the search engine marketing and related communities. Since 2012, MnSearch has supported the professional growth of the search marketing industry through educational and networking events all year long and through the annual MnSearch Summit. Learn how you invest in your organization’s search marketing expertise and support MnSearch by becoming a member. What percentage of your total revenue came from search engine marketing (organic or paid) in the past year? What level of expertise does your organization have in search engine marketing (organic or paid)? How well do your marketing leaders understand the principles of search engine optimization (SEO)? How well do your marketing leaders understand the principles of pay-per-click advertising on Google AdWords? How will your organization prioritize budget for search engine optimization (SEO) in the next year? How will your organization prioritize budget for pay-per-click advertising on Google AdWords in the next year? 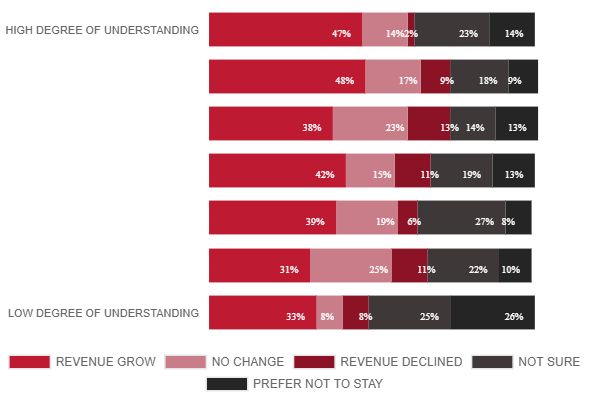 Which statement best describes the overall revenue performance for your organization in the past year? The Minnesota Search Engine Marketing Association (MnSearch) strives to help businesses and individuals keep a pulse on the latest news, trends, tactics and tools. A non-profit organization founded for and by search marketing geeks, MnSearch aims to speak directly to the search marketing professional, and raise the standards and awareness of search in Minnesota and beyond. Hook Agency creates compelling websites built to earn customers. Hook’s specialty is where visual design & search engine optimization combine.